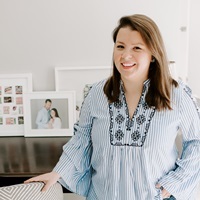 We are just about a week away from Valentine’s Day and I have all of the sweet, heart-shaped, pink and red, love-dovey inspiration to share today! My husband and I don’t generally make a big deal out of Valentine’s Day. We usually exchange cards, and use it as an excuse to abandon healthy-eating for the night and replace our usual meal-plan with something a bit more delicious. 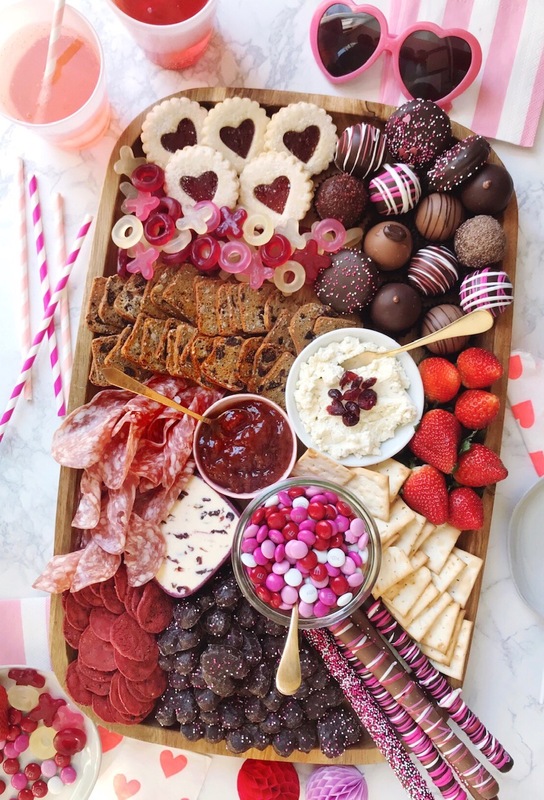 The idea I wanted to share today definitely falls into the delicious category: a Valentine’s Day grazing board. 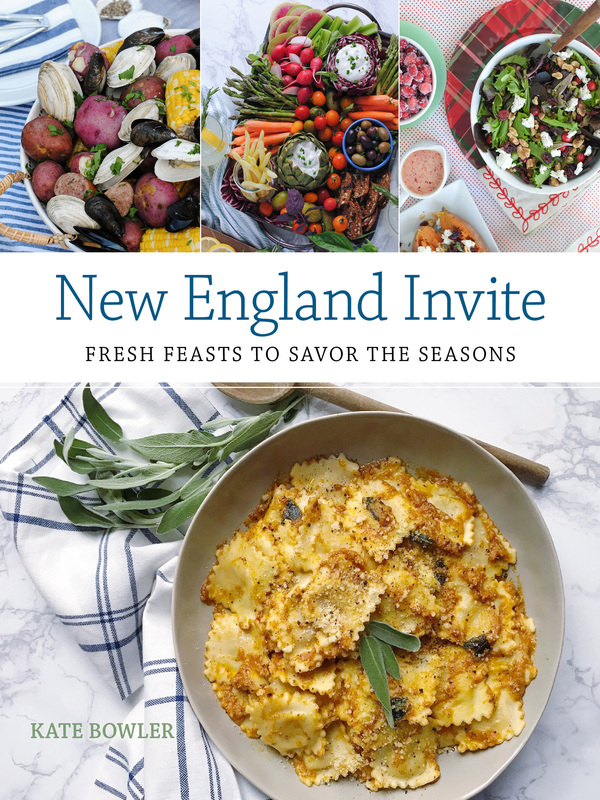 It’s sort of like your favorite cheese and charcuterie plate teamed up with a dessert bar for an all-star showing of sweet and savory snacks. I love the idea of making these for a cozy night at home to celebrate with a movie on the couch, some good cocktails, and this big array of tasty bites. It would also be a great thing to serve at a Galentine’s day gathering with your girlfriends (cheese and chocolate are my favorite excuse to get friends together). 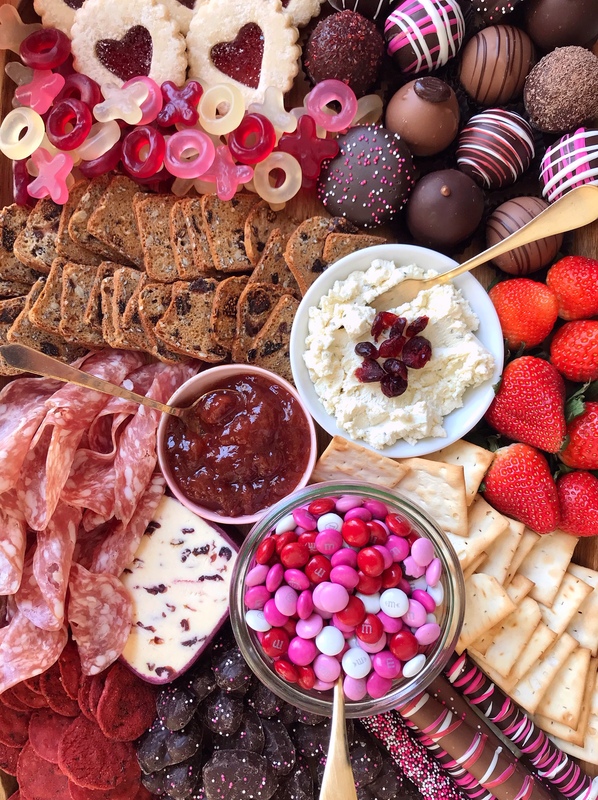 Here’s how you can recreate this Valentine’s Day grazing board at home: First, start with a big serving platter — I like to use one that has a little bit of a lip or curve at the edges to keep ingredients from sliding off. I place a few bowls on the plate to hold things like soft cheeses, jams and small candies (Valentine’s Day M&Ms, mmm!). Next, space out your bigger-sweets like cookies, pastries, or chocolate truffles. I found the most delicious chocolate truffles and pretzels at Hilliards chocolates, and snagged the cookies from the Whole Foods bakery section. After you have those big pieces set in, add your cheeses and meats. I picked a cranberry flecked cheese to keep with the red and pink theme, and a mild salami that also fit in the color scheme. Fill in the remains space with crackers and fruits; I found red beet crackers at Trader Joe’s and tucked in bright red strawberries for more color. The finishing touch was to add a little bit of extra candy on top (I love the Trader Joe’s gummy Xs and Os) and garnish the cheeses with dried fruit and honey. I love how it came together, and I can attest it tasted great too! 3 Responses to "Valentine’s Day Grazing Board." 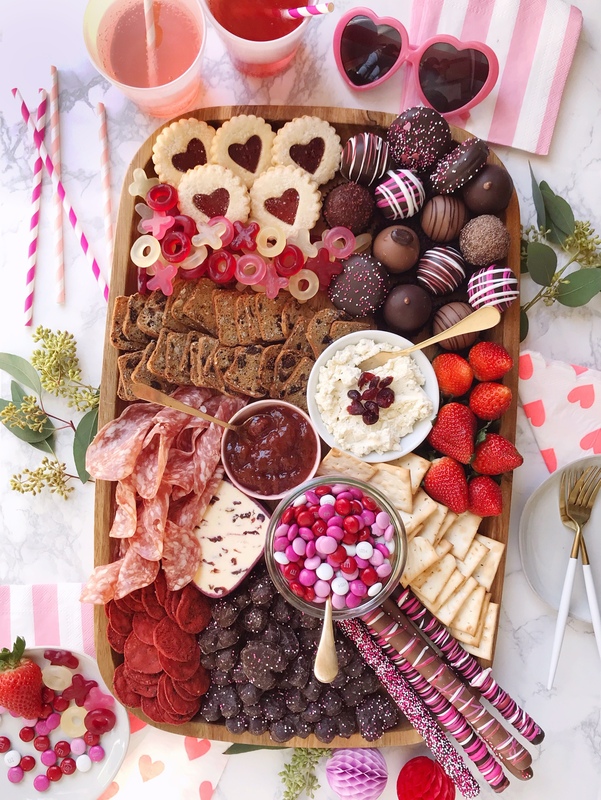 This is soo perfect for any Galentine’s Day gathering! Love this! What kind of crackers are those next to the X and Os? They’re Trader Joes — they have a few variations, I think this one was Fig + Olive!